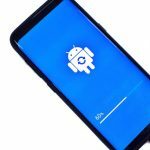 The fragmentation problem that affects Android not only means that there are a tiny number of users running the latest version of Google's mobile operating system, but also that many handsets are not patched with the latest security update. This could be about to change. At its I/O developer conference this week, Google announced that its security policies will be changing. While its not clear when this could happen, the company will require some smartphone manufacturers to roll out regular security updates to users. 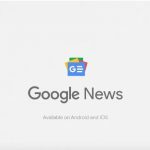 Today at its I/O developer conference, Google revealed major changes for Google News. 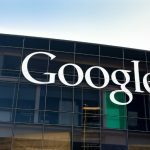 The company says that the revamp combines the best of artificial intelligence with the best of human intelligence, and it sees Google try to rebuild the trust people have in online news. As well as a revamp of the underlying technology, there are also changes in presentation. A "For You" section in the app provides easy access to the most relevant stories that will be of personal interest, and there are also new opportunities for readers to delve deeper into stories via various news outlets, social media, videos and more via a new timeline tool. It’s the season for developer conferences right now. Yesterday, Microsoft’s Build kicked off in Seattle, and today Google takes to the stage to reveal its future plans. 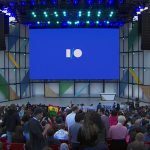 The annual Google I/O developer conference begins with a consumer keynote taking place at the Shoreline Amphitheatre in Mountain View, California. The company has already made some announcements regarding the likes of Android TV, Google Home, and a new Assistant for Wear OS, but there’s much more to come. 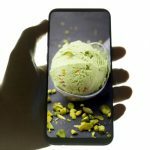 While a lot of Android users are still waiting for Oreo to arrive on their handsets -- well, let's face it, there are still plenty waiting for Nougat -- Google is hard at work on Android P. The P may or may not stand for pistachio (or possibly pie, leading to speculation of a March 14 -- Pi day -- release), but what people really care about is what's new and when they can try it out. It shouldn't be too long until we find out more about what to expect from the latest version of Google's mobile operating system. The company is expected to release the first Android P Developer Preview later this month. This will give us a chance to see whether there really is notch support and a "dramatic redesign". 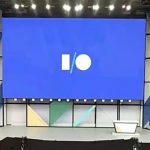 Google revealed a lot of new features and products during yesterday’s opening two-hour long I/O keynote, including more about Android O, a stripped down OS for cheap phones called Android Go, an improved way to protect users from bad Android apps, and competition for Siri in the form of Google Assistant for iOS. That’s not the end of things though, as Google has another keynote today. Today was day one of Google I/O and there was no shortage of news. To name a few, the search giant is bringing its assistant to iPhone, Smart Reply to Gmail on mobile, and voice-calling to Google Home. 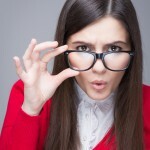 These things should be very interesting to both consumers and technology enthusiasts. With I/O being a developer conference, however, not all of the news is necessarily consumer-focused. Case in point, there was some rather big developer news that didn't get as much attention. You see, Google announces that it is making five of its "Firebase" SDKs open source. Google Home is getting smarter. Today at Google I/O, Google revealed that the Amazon Echo rival will not only be spreading to more countries this summer (Canada, Australia, France, Germany and Japan specifically) but it will benefit from more new features than you can shake a stick at. In all, there are more than 50 new features coming to the smart little device including Proactive Assistance, integration with the likes of Soundcloud and the free tier of Spotify, as well as hands-free voice calling. There's also expanded Bluetooth support to transform Google Home into a more useful speaker, and much more. It’s that time once again when Google takes to the stage to reveal its future plans. 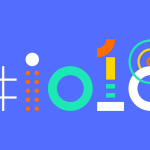 The annual Google I/O developer conference kicks off today, with a keynote taking place at the Shoreline Amphitheatre in Mountain View, California. Among other things, the search giant will be revealing more about Android O, the next version of its Android operating system. That’s not all though. 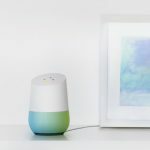 Google’s I/O event revealed some interesting new products yesterday, including Google Home, the search giant’s Amazon Echo rival, and communication apps Allo and Duo. Google’s annual developer conference kicks off at the Shoreline Amphitheater in Mountain View, California today, starting with a keynote which the search giant traditionally uses to make big announcements. Last year Google showcased Android "M" (which later became Marshmallow), Google Photos, Google Cardboard, and Android Pay. 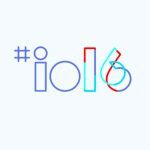 So what does the Google I/O 2016 keynote have in store? During past Google I/O conferences Google has unveiled the next version of Android, and there’s every reason to expect we’ll see details regarding Android "N" this year, but that’s just for starters. 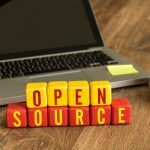 Every tech company worth its salt is running to get involved in the Internet of Things; Ubuntu is in on it, and Microsoft has teamed up with more than one company to plant its IoT flag. Today Google unveiled its new IoT platform, Brillo. Google is not entirely new to the Internet of Things -- it already has its cloud platform in place and has also acquired Nest. Destined for all manner of connected devices, Brillo is a stripped down and streamlined operating system based on Android. Google has not revealed how its size compares to Huawei's LiteOS, but has said that -- like Android M -- there is a focus on security, and the platform will run on Weave. All eyes are on Google today, and there are certainly plenty of announcements to take on board. As well as exciting future releases such as Android M, there are also changes to old favorites. 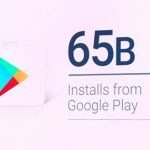 Google Play is one stalwart that's in line for an update, and this time around Google has decided to focus on making the store a family-friendly experience. 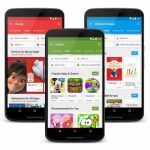 To allay the fears of concerned parents who are worried about what their kids might stumble across while looking for apps and games, Google is introducing a new Family category. There is a strong focus on making it easier to select content that's suitable for specific age groups and the categorization is available across apps, games, books, movies, and TV shows. Google revealed Google Photos today, at its Google I/O 2015 developer conference. It is a new standalone app for Android, iOS and the web which aims to make it easy for users to upload all of their photos and videos to the cloud, and manage everything afterwards. And it will be available starting today. For mobile users, this means that the Google+ app is no longer needed to automate photo and video uploads. 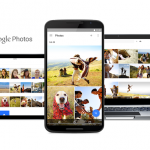 However, Google Photos is not just about uploading content to the cloud, but also organizing it. Google says that everything will be (privately) auto-grouped, so that users can easily find, for instance, dog photos.